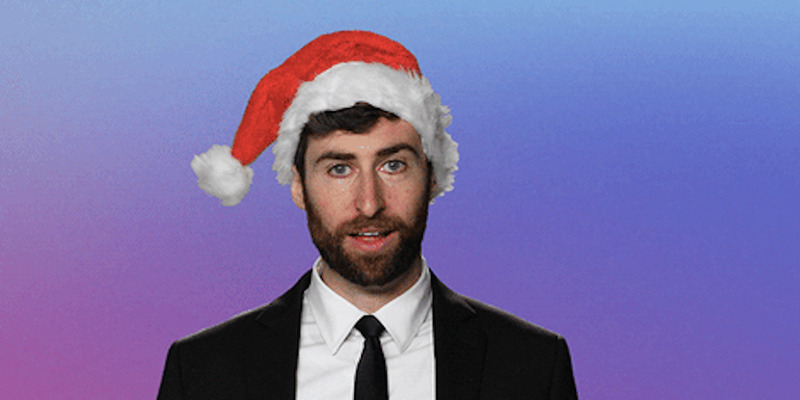 HQ TriviaHQ Trivia’s main host, Scott Rogowsky, got in the holiday spirit. HQ Trivia set a record on Christmas Day, as 730,000 people competed for a $US2,000 jackpot. The day before, an average of 550,000 players competed in two games with unusually high $US12,000 jackpots. That’s around twice as many people as usually log on to the four-month-old app, which seemed to average about 300,000 players a game through much of December. HQ Trivia lets players answer trivia questions to win real money. The popular app HQ Trivia hit a record on Christmas Day as 730,000 people logged on simultaneously at 9 p.m. ET to compete for $US2,000, the company behind the app tells Business Insider. The day before, the app saw an average of 550,000 people play for the chance at winning two unusually large jackpots of $US12,000. The Christmas Day record means there were more trivia players than there are people living in Seattle – and all for an app that’s less than four months old. HQ Trivia came onto the scene in late August and quickly stole the attention of iPhone users around the US with its energetic and entertaining trivia games, broadcast live twice a day. Most games have jackpots of $US1,000, which is split evenly among the winners of the round. The game didn’t break from that tradition on Christmas, only with higher prize pools. In fact, on Christmas Eve, HQ held a surprise third game, following complaints from viewers that the game had glitched out and they were unable to play. Then, on Christmas Day, it set that player record. In December, most rounds had upward of about 300,000 active players. This is up from the 60,000 average users Business Insider reported in mid-November. Participation is indicated on the top-left side of the app screen when games are in session, though the company has not shared official metrics. The app, which was created by the Vine founders Rus Yusupov and Colin Kroll, is still available only on iPhone, despite the company’s promise to put out an Android version of the game before Christmas. On Tuesday, HQ Trivia said it planned to have an Android version out by Monday.